In 2000 it was having a website. In 2005 it was "getting social." In 2010 it was optimizing that website and those social platforms through now-banned spammy SEO tactics. In 2015 it's all about the content—and digital success has never been more attainable. You probably have heard the term "content marketing" thrown around quite a bit this year. Likely always in a different context, and so ambiguous that you found yourself scratching your head and saying, "huh?" From funnels to ROI to retargeting to marketing automation, the list of content opportunities is seemingly endless. So, with all of that being said, what exactly is content marketing? The Content Marketing Institute defines it as, "the marketing and business process for creating and distributing relevant and valuable content to attract, acquire, and engage a clearly defined and understood target audience – with the objective of driving profitable customer action." The key takeaway from that description is: relevant and valuable content to a defined and understood target. Content marketing is successfully driving Fortune 500 businesses not only because it makes them more visible, approachable and conversational, but because it humanizes their brands through relevant content targeted specifically and strategically towards their predefined audience. 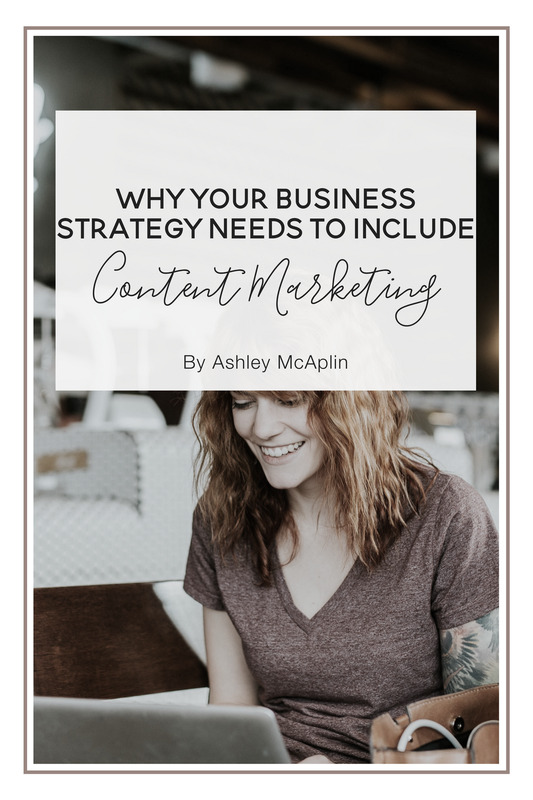 So, how can you take these principles and create a content strategy that propels your business forward, and why do you need to incorporate them into your business strategy? 1. The market is evolving. One of the biggest reasons that content marketing has taken off in recent history has little to do with content in and of itself, and everything to do with the market and the change in consumer behavior. This year marked the climax of the "millennial" consumer. From brand dissection to consumer research, the market for highly informed consumers is growing by the second. No longer can brands "get away" with fluffy content and the outside sales "selling" model. Today's consumers are looking for actionable and valuable content that can help them make informed and aggressive decisions for their life—from what to eat to what car to drive. As a business owner, marketer or executive, it is important for you to take this consumer data and use it to really get to know your target. Who are they? What are they already doing online? How can you tap into that as a way to effectively engage them? Then, you can create content that helps to drive them towards your overall goal or objective through education and provoked engagement. 2. Content brings more authority than any other business medium through active relationship building. Having great content surround your brand online allows consumers to digest your value through numerous outlets, and opens the door for you to capitalize on their loyalty faster and more efficiently. Companies the Coca-Cola, Starbucks and Target are just a few that have brought this sentiment to life. By taking time to create great content that engages your target, you are investing in the relationships that will sustain your brand for a lifetime. 3. Content allows businesses to write their own story. We all love stories. From viral content to sentimental empowerment, content marketing allows brands to embrace and empower not only their story, but their consumers' stories as well. Drawing the connection between why you do what you do and why your target should care through active content is one of the strongest forces in modern marketing. When creating a content marketing strategy you have the opportunity to touch your target on multiple levels through related content on different platforms. This allows you to begin to draw them into your story, ultimately increasing their loyalty and your overall brand recognition. So, in short, the induction of content marketing has not only changed the way that businesses execute their engagement, but it has forced us to reevaluate our business structures and strategies in order to become more transparent and helpful to our consumers. What about you? Is your business utilizing content marketing to reach your targeted audience? If not, why? It is never too late to begin! Let me know your thoughts below. Ashley is the founder of McAlpin Creative, a digital marketing firm that specializes in content marketing and brand development. In her free time, she enjoys hiking, kayaking and all things outdoors with her husband and two fur babies.